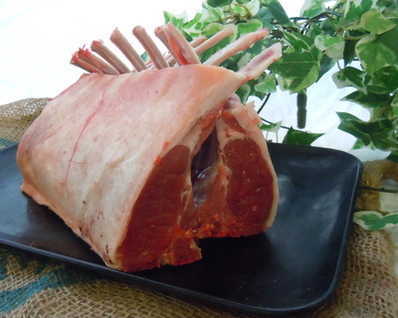 Make a spectacular entrance at any dinner party with this delicious guard of honour rack of lamb loin. Contains 14 chops. Minimum weight 1.2kg will feed 6-8 people. All our lamb is Quality Standard English lamb.